When it comes to U.S. sports, soccer has never been at the forefront as a top-tier sport. However, over the past 10 years, that misconception has taken a backseat as the love for the sport continues to grow throughout the country. Soccer is widely regarded as the world’s game and overall boasts one of the most loyal fan bases. 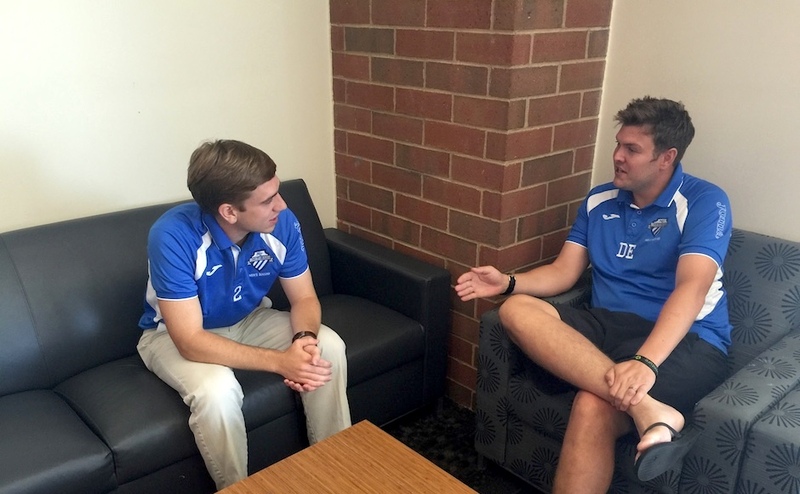 MTSU’s club team continues to take strides forward as a program, all while battling the reality that they’re not classified as an official sport by the university. Title IX set the standard for athletics around campuses, and it continues to be a topic of debate when it comes to some major sports. MTSU sits on that spot, and soccer was the odd man out. MTSU’s women’s team continues to grow as a program, and the men’s club team aims for the same success. What prevents the men’s club team from becoming another MTSU program? In basic terms, Title IX states there must be one more women’s sport than men’s sports. Coach Ebbutt played professionally before settling into a coaching role, spending his time playing at different clubs including Sheffield United. When it comes to the sheer size of the club team, the MTSU club is on par with some of the best varsity sides around. Ebbutt said the coaching staff is complete, and boasts something that some varsity programs don’t have. One of the highlights of the offseason for Ebbutt and the team was all the new equipment the team will have for the 2015 season. Robert Cope, a senior for the Club, described the scene as “Christmas morning-like,” speaking of the joy on players faces opening their new gear bags with all the shirts and jerseys inside. Cope’s time with the club has grown from being a player-specific role on the team to also being the face of the team’s social media front. In just the past year the club, with Cope’s help, has developed a presence on both Twitter and Facebook, and their official website recently went live detailing the schedule, the team and options to purchase jerseys. The new jerseys for 2015 come in two styles. The home jersey features a horizontal blue stripe pattern and the newly redesigned MTSU club soccer patch, and the away jersey boasts the vertical black stripe design with the patch as well. Ebbutt spoke highly of the four days of tryouts and the 91 players who tried out for the club. He said whittling down to a final squad was difficult for him and the rest of the coaching staff. For the first time, the club decided to maintain a JV (Junior Varsity) team consisting of 10 mostly young players who could develop through the system in time. Cope, who has spent three years with the club, spoke of the importance of building chemistry before their first serious match of the year, a meeting with UT-Chattanooga next Saturday. During the spring semester, the club team faced off against some of the top clubs in the country, as well as full-fledged programs. During that time frame, the men’s team defeated the likes of Florida, Mississippi State, Martin Methodist, Belmont and so on. The team is looking to continue their success and move forward with the program by setting their sights high heading into fall 2015. The fall regular season runs through mid-October, and the team faces off against in-state foes such as UT-Chattanooga, ETSU, Vanderbilt and Tennessee. 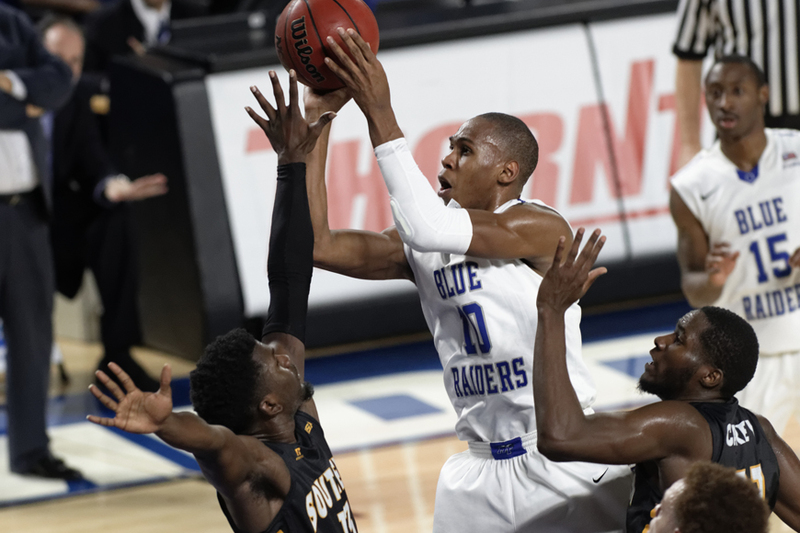 The Blue Raiders will close out their regular season in Kentucky, taking on Eastern Kentucky and Kentucky in consecutive weeks. The Blue Raider men’s club team heads to Chattanooga next Saturday, Sept. 5. MTSU will host East Tennessee State University on Sunday, Sept. 6.